HSSC Group D Application Form 2018 is available from August 29, 2018. Candidates can apply online until last date that is September 24, 2018. On the last date, HSSC online form can be filled until 11:59 PM for Group D recruitment for 18218 vacancies. Candidates must not wait for last date to apply. Direct link to apply online is given below. Interested candidates should check eligibility criteria before applying. It is also very important to fill only correct details in Haryana Group D Application Form 2018. Therefore, read all instructions given on this page and in official notification (Advt 4/2018). Get here complete details of HSSC Group D Application Form 2018 such as date, how to apply, fee, and other information. Latest: HSSC Group D Application Form 2018 has been issued on August 29, 2018. Candidates must apply before last date. Scroll down for the link to apply. If you are a candidate who is interested in securing a government job in Haryana, then you must check out HSSC Group D Recruitment 2018. Application form can be filled as per the schedule given below. Please keep in mind that you should apply before the last date. Apart from form filling, other dates such as for the issuance of HSSC Group D Admit Card 2018 are announced separately. Candidates should keep checking the official website and aglasem for this information. However the first thing to do now is to apply. So read on to know more about that. Apply Online Here: Click here to apply for HSSC Group D Recruitment 2018 for 18218 vacancies at the official website of HSSC that is hssc.gov.in. Date Extension Notice: Click here to check the notice. Want to know the number of vacancies and other details? Click here. In case of any queries, candidates can reach out to official helpline 01725 143700. This is available on all working days from 9 AM to 5 PM. Paying application fee is an important part of the submission of the form. Candidates should keep in mind the application fee amount before they fill the form. It is as follows. Applied? Now know about Haryana HSSC Group D Admit Card 2018. Candidates can pay fee in any of the two modes listed below. 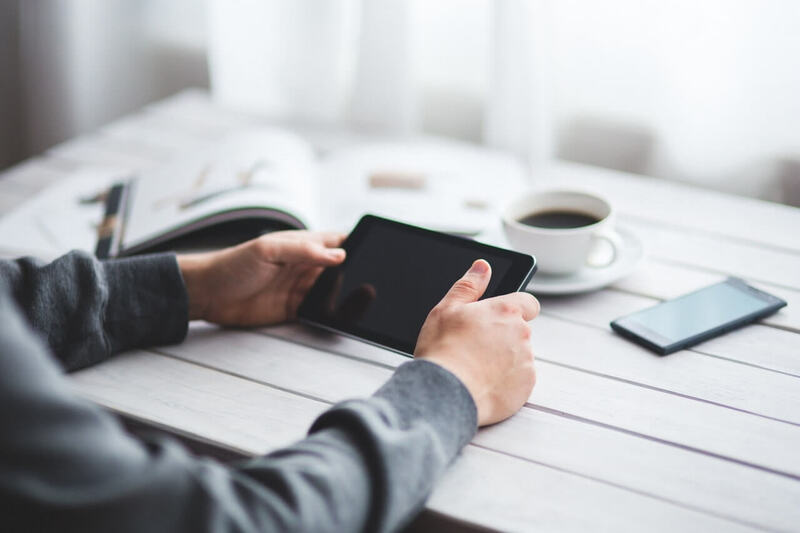 How to pay fee by online net banking? This is a very easy thing to do. All you need is net banking in your account. So what happens here is that in one stage of HSSC Group D Application Form 2018, you will come across fee payment. Then, you select the net banking option. Automatically form takes you to a netbanking payment gateway where you have to log in to your account and pay that fee. How to pay the fee by e-challan? In this mode, you will be able to download e-challan once you completely fill the form. Then take a printout of challan. Take cash money and printout to a nearest bank branch. 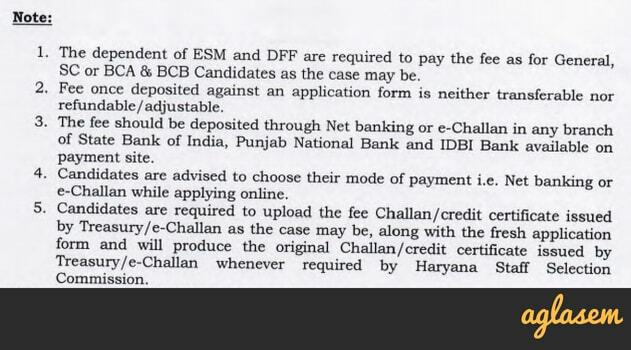 Deposit the fee and bank copy of challan. 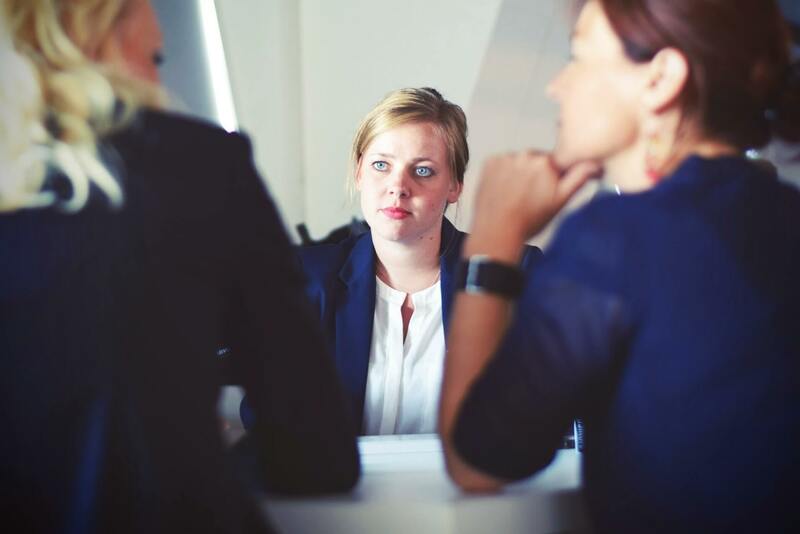 Keep candidate copy with you. 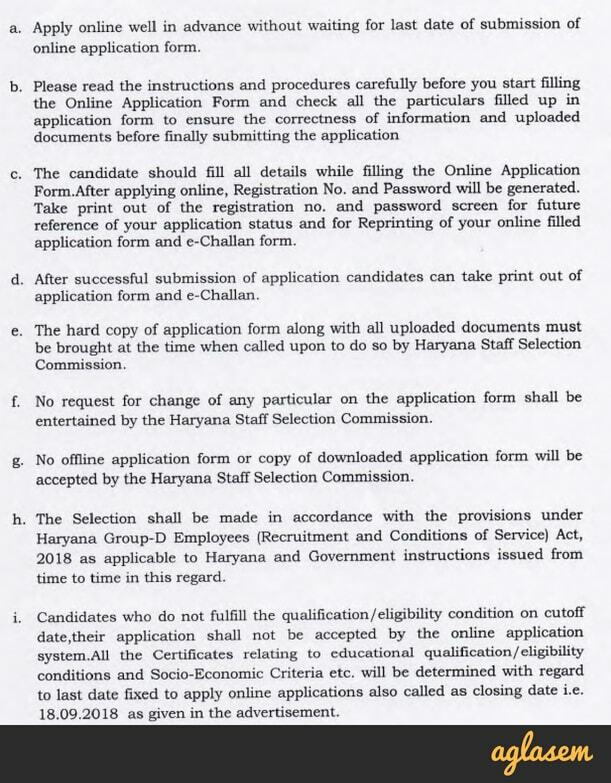 Haryana Staff Selection Commission gives the following guidelines for applying. If you do any of these mistakes then your form may get rejected. You submitted more than 1 form for one category. Your application form is incomplete. You did not pay fee or not in manner given. You do not have Hindi / Sanskrit qualification as per HSSC Group D Recruitment 2018 Advt 4/2018. Your academic qualification do not match eligibility criteria. Appropriate column in form does not carry visible identification mark. You are under age or over age. Data in HSSC Group D Application Form 2018 differs from those in original documents. You do not have requisite qualification. There are a few documents that need to be scanned and uploaded in HSSC Group D Online Form 2018. Some of them are applicable to all candidates, whereas some are only to be uploaded if applicable. Complete list of documents is as follows. Class 10 certificate is essential academic qualifications, showing date of birth and other important details. Sports gradation certificate, if you are eligible for sports persons (quota). Haryana domicile certificate if you are SC / BCA / BCB / ESM / DESM / DFF / ESP PWD. Certificates to show claim for socio economic criteria and experience, if applicable. After you fill and submit HSSC Group D Application Form 2018, registration number and password get generated. Keep them safely until end of recruitment process. They will be required for login purpose for various reasons like when you have to check form details, download admit card, check result, and other such cases. HSSC will not allow form correction. In other words, details that you once fill in Haryana Group D Application Form 2018 will be final. Therefore do not think that you can fill any details hurriedly now and later change them. Here are some special instructions for HSSC Group D Online Form 2018. Candidates should be careful while filling form. It is a candidate friendly process, so all care that needs to be taken is in data entry process only. Some key details of HSSC Group D Application Form 2018 are as follows. Apply well in advance. Do not wait for last minute. It is responsibility of candidate to check eligibility criteria before applying. Ensure that details you fill in HSSC Group D Application Form 2018 are correct. For this purpose, keep your certificates and documents with you while applying. Take printout of form after applying and keep it safely. Haryana Staff Selection Commission will not accept offline form. What to do after filling HSSC Group D Application Form 2018? After you have applied, next thing to do is to prepare for HSSC Group D Recruitment 2018. You may note that there will be an exam for selection. 75% weightage: General awareness, reasoning, maths, science, english, hindi. 25% weightage: History, current affairs, literature, geography, civics, environment, culture of Haryana. Apart from that, candidates may note that they have to come back online to download HSSC Group D Admit Card 2018. HSSC will issue admit card a few days before exam. It is necessary to download and print it as it is necessary to take it to exam centre on exam day. Watch this video to know all about HSSC Group D 2018. If you have any queries regarding HSSC Group D Application Form 2018, please ask in comments below. Then your application form will not be accepted by the officials. When i am selecting NO in widow (reservation) then why its showing ENTER WIDOW CERTIFICATE NO. Kindly check your registered email id and mobile number.